If you play better golf you'll have more fun, and if you have more fun you'll play more golf. A good way to improve your enjoyment of the game is to take a lesson. Whether you want to hit a longer drive, get rid of your slice or correct a problem you are having with a particular shot, golf is sure to be more fun and relaxing when you show a little improvement and take a few strokes off your score. 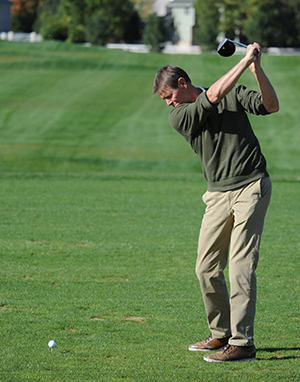 Here at Coal Creek Golf Course our golf professionals will tailor golf lessons to your needs and abilities. You can work on a particular skill area that you desire including your driving, your fairway play, your short game and your putting. Choose from individual, group, and junior golf instruction. To lower your score and have more fun contact us today! And remember, a good golf lesson is worth 1000 range balls. David Baril comes to us from the Midwest where he has served as General Manager, Director of Golf and Head Golf Professional in Indiana, Ohio and Wisconsin. 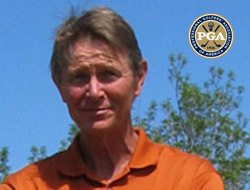 He is a 32-year PGA professional and an expert instructor, club fitter and club builder. A good instructor offers clarity, direction and an ability to communicate their knowledge to the golfer in terms that the golfer understands. Golf is a simple game made complicated by the fact that the majority of golfers work too hard mentally and physically to produce an unrealistic result. While I have instructed national champions, state champions, college golfers, and club champions, my most rewarding achievements in golf instruction are the hundreds of regular golfers whose face light up when they learn that golf can be simple and fun. If there is a method to my instruction it is based upon a complete evaluation of your goals, your skills, your flexibility, and your golf equipment. Typically half of those criteria are not synchronized. I look forward to meeting you and aligning your wants and needs with the tools you already possess.